Information on this article from American Academy of Orthopedic Surgeons. Once torn, the biceps tendon at the elbow will not grow back to the bone and heal. Other arm muscles make it possible to bend the elbow fairly well without the biceps tendon. However, they cannot fulfill all the functions of the elbow, especially the motion of rotating the forearm from palm down to palm up. This motion is called supination. To return arm strength to near normal levels, surgery to repair the torn tendon is usually recommended. However, nonsurgical treatment is a reasonable option for patients who may not require full arm function. Partial tears. These tears damage the soft tissue but do not completely sever the tendon. Complete tears. A complete tear will detach the tendon completely from its attachment point at the bone. A complete tear of the distal biceps tendon. The tendon has pulled away from where it attached at the radial tuberosity. Modified from Bernstein J (ed): Musculoskeletal Medicine. © American Academy of Orthopaedic Surgeons, 2003. Other arm muscles can substitute for the injured tendon, usually resulting in full motion and reasonable function. Left without surgical repair, however, the injured arm will have a 30% to 40% decrease in strength, mainly in twisting the forearm (supination). Rupture of the biceps tendon at the elbow is uncommon. It occurs in only three to five people per 100,000 each year, and rarely in women. The biceps muscle has two tendons that attach the muscle to the shoulder and one tendon that attaches at the elbow. The tendon at the elbow is called the distal biceps tendon. It attaches to a part of the radius bone called the radial tuberosity, a small bump on the bone near your elbow joint. The biceps muscle helps you bend and rotate your arm. It attaches at the elbow to a small bump on the radius bone called the radial tuberosity. Reproduced and modified from The Body Almanac © American Academy of Orthopaedic Surgeons, 2003. The main cause of a distal biceps tendon tear is a sudden injury. These tears are rarely associated with other medical conditions. Injury: Injuries to the biceps tendon at the elbow usually occur when the elbow is forced straight against resistance. It is less common to injure this tendon when the elbow is forcibly bent against a heavy load. Lifting a heavy box is a good example. Perhaps you grab it without realizing how much it weighs. You strain your biceps muscles and tendons trying to keep your arms bent, but the weight is too much and forces your arms straight. 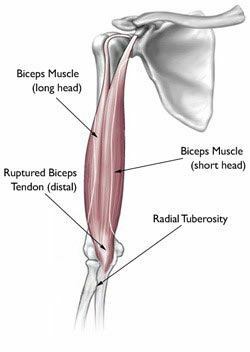 As you struggle, the stress on your biceps increases and the tendon tears away from the bone. 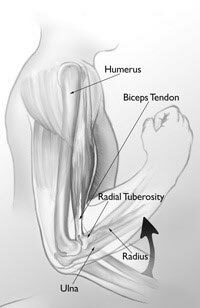 Risk Factors: Men, age 30 years or older, are most likely to tear the distal biceps tendon. Smoking. Nicotine use can affect tendon strength and quality. A distal biceps tendon tear can cause the muscle to ball up near the shoulder. Bruising at the elbow is also common. X-rays. Although x-rays cannot show soft tissues like the biceps tendon, they can be useful in ruling out other problems that can cause elbow pain. This imaging technique can show the free end of the biceps tendon that has recoiled up in the arm. Magnetic resonance imaging (MRI). These scans create better images of soft tissues. They can show both partial and complete tears of the biceps tendon. Surgery to reattach the tendon to the bone is necessary to regain full arm strength and function. 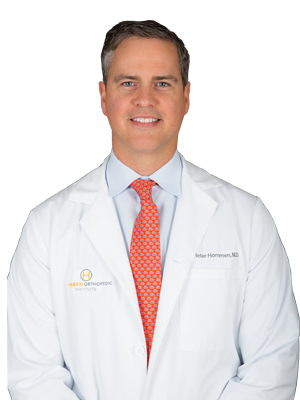 Nonsurgical treatment may be considered if you are older and less active, or if the injury occurred in your nondominant arm and you can tolerate not having full arm function. Nonsurgical treatment may also be an option for people who have medical problems that put them at higher risk for complications during surgery. Nonsteroidal anti-inflammatory medications. Drugs like ibuprofen and naproxen reduce pain and swelling. Physical therapy. After the pain decreases, your doctor may recommend rehabilitation exercises to strengthen surrounding muscles in order to restore as much movement as possible. Reproduced from Mirzavan R, Lemos SE, Brooks K: Surgical treatment of distal biceps tendon rupture. Orthopaedic Knowledge Online Journal 2007; accessed January 2016. A common surgical option is to attach the tendon with stitches through holes drilled in the radius bone. 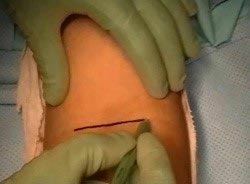 Another method is to attach the tendon to the bone using small metal implants (called suture anchors or a button). 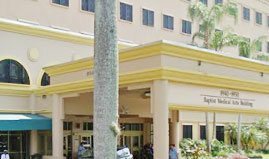 Surgical complications are generally rare and temporary. Numbness and/or weakness in the forearm can occur and usually goes away. New bone may develop around the site where the tendon is attached to the forearm bone. While this usually causes little limitation of movement, sometimes it can reduce the ability to twist the forearm. This may require additional surgery. Although uncommon, the tendon may re-rupture after full healing of the repair. Be sure to follow your doctor's treatment plan. Since the biceps tendon takes over 3 months to fully heal, it is important to protect the repair by restricting your activities.